It was way past dinner time when we reached Kuta, starving and thirsty, we went in the first warung we saw that was serving hot meals. Written on the menu, Mini Warung serves Chinese food, this came as a surprise to me. We were in a middle of a tropical haven and one of the last thing I expected to eat is Chinese food. The Balinese loves tea, this was our first encounter with a common bottled tea drink in Bali, the Tehbotol. We ordered fried rice or locally known as Nasi Goreng. It contained bits of chicken, chopped vegetables and topped with a fried sunny side egg. Cap Cay or Chopsuey which means stir fried mixed vegetables. The Fried Squid in Butter Sauce didn't come out as we expected, we expected a crunchy calamari type of dish. But what came out was stir fried squid with a sauce made with margarine and soy sauce. Our meal tasted like a good simple home cooked meal but it didn't taste anything like Chinese food at all. After surfing and bumming around the beach, we made our way to Ku De Ta for a lte lunch. Ku De Ta has been consistently making the top 20 list as one of Asia's best restaurants for the previous years. For dinner, we went to a famous restaurant in Kuta that serves traditional Indonesian and Balinese cuisine. Made's Warung is a favorite spot for tourist to try out the local food. We started our meal with Chicken Satay, a dish that I got to try in Singapore and Malaysia. Compared to the ones I tasted before, the chicken skewers tasted less pungent, the meat was tender and had a gingery taste. It also came with a peanut sauce that wasn't sweet. The next dish is very popular, it is considered a staple food in Indonesia. Nasi Campur is mixed rice, a heaping cup of white rice topped with an assortment of meat and vegetables. The Spicy Sambal sauce is also a key element to this dish and usually a piece of krupuk or prawn crackers is placed on the side. The dish reminded me of Korea's Bibimbap. We had half an order of Nasi Capmur and the other half is another popular dish, the Gado gado. Gado gado is mixed vegetables cooked with a peanut sauce. Before mixing everything up I tasted each dish first, the Nasi Campur was delicious. The combination of the savory tender pieces of chicken with the delicately seasoned crunchy vegetables was amazing. It was packed with so much flavors. The Gado Gado tasted familiar, it reminded me of our local dish, Kare-Kare but without the sauce. We also had Pepesan, it is a combination of ground fish mixed with different herbs and spices, wrapped and cooked inside a banana leaf. The rolled up chunk of fish packs a lot of wonderful flavors, it was salty, tangy, nutty and a bit sour. Dipping it in the spicy Sambal sauce made me want to take one bite after another. This is a must try! After dinner, we walked around Poppies Lane 1 and 2, one noticable thing is the Magic Mushroom signage which can be found in every block. Vendors would even give out calling cards, telling us that their stuff was good. 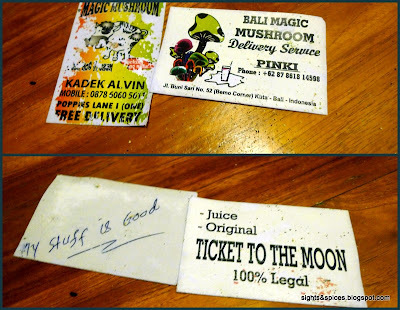 I initially thought that this stuff was illegal but as it turned out it is pretty common and legal in Bali. I got curious and decided to give it a try. I was brought inside a gate and there was a refrigerator of cultivated plants. The mushrooms was inside a plastic cup, the vendor told me that his stuff was the real thing. We haggled and finally agreed at a price, he proceeded to get the mushrooms out of the cup and place it inside a blender. He added a bottle of Soda and blended everything up, I was walking the streets of Kuta with a cup of what they call as a magic mushroom shake. The drink tasted like an earthy flavored soda, it tasted kind of weird. As to what effect did it have on me, let's just say I felt that I was in a happy place called Bali. The next day before leaving Kuta, we had lunch at Rainbow Cafe in Poppies Lane. Poppies Lane is a favorite spot for tourists, there were rows of inns, warungs, bars and shopping stalls. Our lunch at Rainbow Cafe was a bit disappointing, prices were steep for the quality and quantity of the dishes. The Soto Ayam or chicken soup was bland and there wasn't much meat and vegetables in it. The Beef Rendang was not as flavorful like the one we tasted in Malaysia and the beef was hard and tough. The Nasi Goreng was the only redeeming dish but still we've tasted better. The weather in Kuta was hot and humid, we wanted something to cool us down. We found interesting looking and flavors of ice cream. 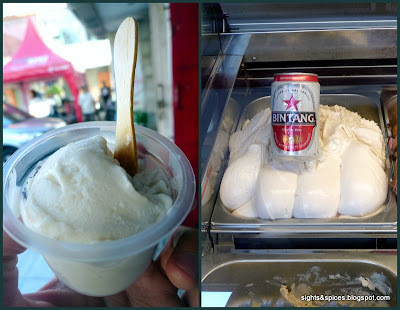 Warung Tiamo serves a very interesting flavor, Bintang Gelato. Mcdonald's serves a Blueberry Longan McFlurry and Sundae. At one of the convenience store, Jon found an ice cream stick shaped into one his favorite cartoon characters, Sponge Bob Squarepants. On our way to Ubud, we passed by several local warungs. I asked our guide as to what common and popular food these eateries serve. He pointed out several stuffs but the one thing I got curious about was the Ayam Penyet. I asked him if we could stop by a local warung, he agreed and we stopped by a roadside to have dinner. As soon as we entered, the owners and the locals who were eating looked kind of surprised to see us there. We warmly smiled at them and they shyly smiled back. When the servers handed out bowls of water with a slice of lime inside, the diners gestured to us that we were supposed to dip and wash our fingers in it. We thanked them and we felt that their shy smiles turned into warm and genuine ones. The simple meal turned out to be one of the best meals we had in Bali. Ayam Penyet is the local version of Fried Chicken. This has to be one the best variety of Fried Chicken I've tasted. The Chicken was deep fried to perfection, it rendered the skin to be so crunchy even without any form of batter on it. The chicken meat was packed with so much flavors, we even found ourselves licking and sucking the bones after. Dipping the chicken in the Sambal sauce constituted a spicy flavor packed bite A must try!!! Aside from the chicken, we also ordered a side of Fried Tempeh. This was the crispy treat that we encountered in Made Warung. Tempeh is made from cultured soybean and it is similar to tofu. Compared to tofu, it has a coarser texture and it had that unique nutty taste. So good! It is said that Ubud ranks high as one of best places to dine in Bali. On our first day, we made our way to Ibu Oka, the world renowned place to have Babi Guling. Ever since I saw the feature on Bourdain's No Reservation show, I've included trying the Babi Guling in my bucket list. Babi Guling is a whole spit-fire roasted pig, it is stuffed with lemon grass, garlic, turmeric, coriander seeds and pepper. While being roasted the pig is slathered with coconut juice incorporating a nice sweet fresh flavor on the crispy skin. The place was packed with locals and tourists waiting for their orders. We ordered a plate of their Spesial which consists of steamed white rice, pork loin, pork skin, fried pork crackling, sausage and vegetables. The pork loin was tender and juicy, it was even topped with the special herb and spice mixture that was used as stuffing. It was so succulent and tasty, the flavors of the herbs and spices has seeped all throughout the meat. The crackling was nice and crunchy. The one thing that surprised me the most was the sausage. I'm not a fan of dishes with pig's blood, I just don't like the smell and flavor of it. Ibu Oka's blood sausage tasted wonderful, it barely had any smell or flavor of blood. I finished and enjoyed the whole thing. The golden pork skin was divine. It was so crunchy and it had a tinge of sweetness. Truly a sinful addicting treat. I've tasted Cebu Lechon and as a whole I would picked it over the Babi Guling. But pork skin wise, I think the Babi Guling's skin reigns supreme. After visiting Blanco's Museum, we made our way to Naughty Nuri's Warung. A warung known for their Pork Spareribs, Sausages and Dry Martini. Our mouths began to water when we saw the huge chunk of pork ribs being grilled. What's on the Grill?...our lunch! The pork rib was really good though it didn't have the fall off the bone tenderness. What made the ribs extra special was the mind blowing off-the-roof spicy Sambal sauce that came with the ribs. The Sambal sauce was the best I've tasted. Aside form being pleasantly 'painful' spicy, the combination of the sweet, salty, tangy and citrusy flavors was so addicting. The sausage was pretty good though the encasing didn't have the snap that I love in sausages. It is said that Naughty Nuri's Dry Martinis are comparable to the cocktails found in the hip clubs of New York. No wonder it cost so expensive, the Gin Martini we ordered was even more expensive than the pork ribs. The Ribs cost 85,000 Rp while the Gin Martini cost 100,000Rp. I'm not much of a cocktail drinker but this stuff was 'addictingly' superb and be warned! A glass or two of this can seriously cause uncontrollable joy and laughter. We initially planned to just have coffee in Tutmak but being stranded because of the pouring rain, we decided to order food as well. And we're glad we did because the food was delicious and the coffee was great. Taking a break from the local flavors, we decided to have something different. We started our meal with a plate of Beef Carpaccio. The thin slices of beef was of excellent quality, it tasted fresh and tender. I'm guessing that they didn't use the usual Manchego Cheese that goes well with the beef. I wished they used a saltier kind of hard cheese. Nonetheless, we enjoyed the Beef Carpaccio as it exceeded our expectations. The Thai Green Curry with Tofu was also a big surprise, it tasted really good. It had that authentic Thai curry flavor, it had the sour aspect that comes from Galangal leaves and the beautiful aroma of lemon grass. The Green Goodness Lasagna is definitely a winner. The pasta was such a delight, sheets that was used are fresh and house made. The filling of spinach, basil and feta was simple yet flavorful and the bechamel sauce was so rich and creamy. So good! The Fresh Ground Burger tasted satisfactory, thought it had the right flavors I felt that they used a lot of extenders in the beef pattie. What we enjoyed more was the French Fries, thick cut fries that was fried to perfection. It was crunchy on the outside and it had a soft and moist center. We intentionally left a few pieces of fries to cool down to see if it would still be crunchy and yes, it still was. We each had a cup of coffee, we ordered an Espresso, an Americano and a Macchiato. The Macchiato tasted pleasant, it wasn't clawing sweet and they just added the right amount of milk. The Americano was great, it was full bodied and smooth. Tutmak uses local coffee beans, I think this was the first time I had an espresso that used Asian coffee beans. 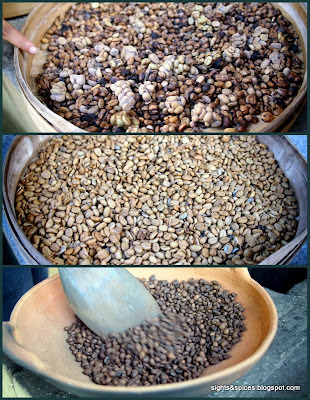 In my opinion, Asian coffee beans taste best when used in long coffee drinks, the beans tends to be stronger and more robust. European brands of coffee beans tends to be more aromatic and mellow thus it is more suitable for a cup of espresso. Tutmak's espresso was commendable, it had decent crema on top, it tasted strong and it didn't have much of the sour aftertaste. After visiting the Sacred Monkey Forest, we made our way to Bebek Bengil to have lunch. It is said to be the original home of one of Ubud's delicacy, the Crispy Duck. If possible try to dine inside a Bale Bengong, bale means covered platform and bengong means to daydream. Daydreaming is exactly what you'll be doing as soon as you sit down, take in the cool breeze and stare at the peaceful stunning rice field. We each had an order of the house specialty, the Bebek Bengil. A half duck steamed with Indonesian spices then deep fried until the skin becomes crispy. There was choice between potatoes or rice and an order comes with sides of vegetables. The sides consists of a sambal sauce, a fresh garden salad, a string bean and bean sprouts dish and my favorite, a simple mixture of onions ans chili peppers in oil. As soon as we took our first bite, we instantly fell in love with the crispy duck.The skin was 'addictingly' crunchy , the meat was packed with so much flavors and it was tender and moist as well. Another must try in Bali!!! We are all coffee lovers, the Coffee Plantation was one of the places we looked forward to visit. The plantation gives out free tour of their farm, the only fee we paid was for the cup of Kopi Luak. Considered to be one of the most expensive coffee in the world, I was disappointed when I tried it before. The local places that I got to try Kopi Luak served really pale and weak coffee, I'm not sure if they just scrimp out on the beans or if the beans were't good to start with. I didn't really have much appreciation with the Kopi Luak until I tasted the Kopi Luak from Bali. The guide told us the process in making the perfect cup. From the harvesting to the roasting, grinding and brewing. The beans were roasted in a clay pot then ground up finely, the beans turned into an aromatic fine powder form, think Turkish coffee. After letting it brew for a couple of minutes, I took a sip and got pleasantly surprised to what I tasted. It tasted totally different from the ones I've tasted before, it was bold and incredibly smooth. It didn't leave any notes of sourness and it absolutely has no bitter aftertaste. It is one excellent cup of coffee! Trying it out again made me understand the effect on the flavors of the coffee beans as it passes through the digestive system of a civet cat. Must Try!!! If you ask travelers who has been to Bali to make a top 10 list about the best things in Bali, I'm pretty sure the Bintang Beer will part of the list. In every cafe and restaurant that we've been to, you would always see tourists holding a cold bottle of Bintang. The three of us loved how light, crisp and slightly sweet the beer is. If I remember it right, I think we drank a bottle of it each day. There was also a local beer that we got to try, the Bali Hai. It tasted more bitter and heavier compared to Bintang. Aside from beer, we also got to try a local liquor, the Arak. 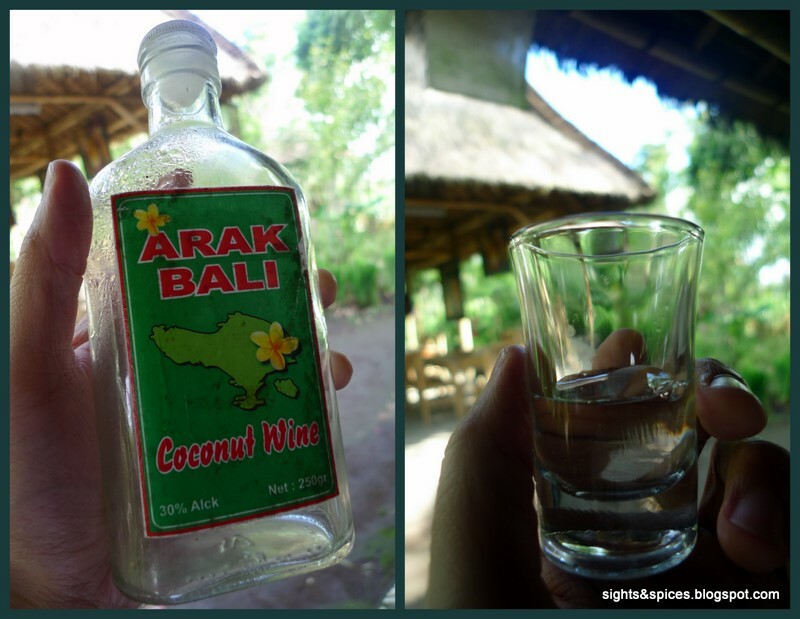 Bali's Arak is totally different from the middle eastern drink. Bali's arak is made of glutinous rice and coconut, this contains about 20 to 50% alcohol, in other words jet fuel. It is said that drinking too much of this potent stuff can cause hallucinations. We just had one shot each, it didn't do any harm of whatsoever to us. The taste is reminded me of our local Lambanog. We ended our trip by having a wonderful dinner at Indonesia's best restaurant and is also part of Asia's top 20, Mozaic. 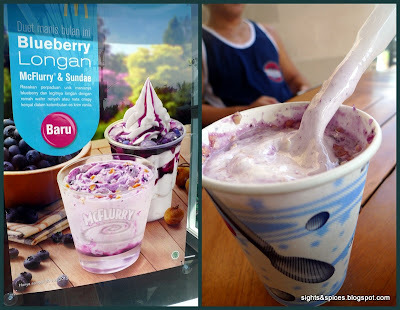 Since Bali was a tropical country, I initially thought that the flavors of the food would be pretty similar back home. But I was so wrong, the flavors were totally different from what I expected it to be. The difference lies on the the different herbs and spices, it was so predominant in every dish we had. If I had one regret in Bali, it would be that we didn't get to dine more at places where the locals would go. But nonetheless, there will always be a next time. One thing that I would always remember Bali for is the chill-out atmosphere and ambiance while eating at the different warungs. Also, did I mention, the best Sambal Sauce ever?